Chapman bags put exceptional British craftsmanship at the heart of their business. 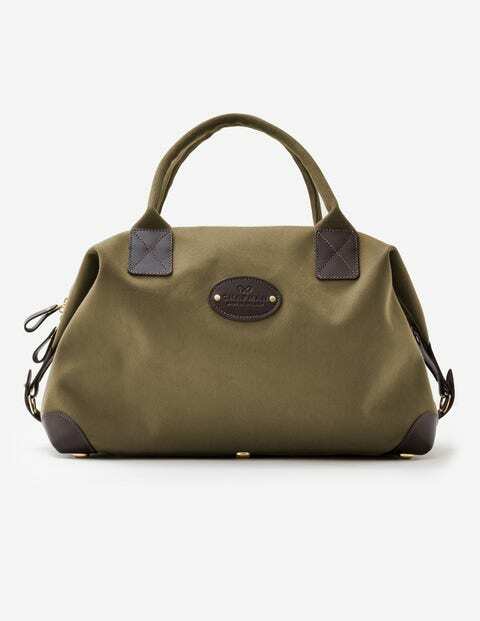 This holdall was hand-cut from waterproof cotton canvas, put together using traditional methods and then finished with a Boden-exclusive brushed twill lining. It’s got a detachable shoulder strap, leather trims, brass hardware and lockable double zips – in short, it’s everything you need for those long weekends away.